Dr. Said was born in Cairo, and was raised between Egypt & France; he received his high school diploma from St. George’s Catholic school. He completed his dental degree in 2000. 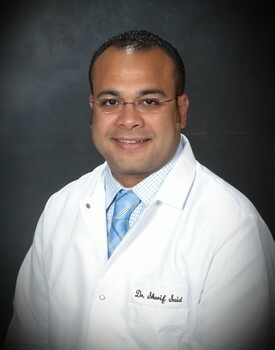 He then attended a 13-month residency program at Ain Shams University School of Dentistry in Cairo. In 2002 he attended Duggan Study Institute (DSI) in Costa Mesa, California, where he extensively studied enhanced restorative techniques and cosmetic restorations. Dr. Said completed his dental boards in 2004 at the University of the Pacific in San Francisco, California. Dr. Said has hundreds of continuing dental education hours to keep up to date with new advancements in Dentistry. Recently, Dr. Said has successfully completed the Comprehensive Implantology Continuum at Columbia University College of Dental Medicine in New York. Dr. Said uses his extensive experience to provide the highest level of dental care in a gentle, compassionate manner. He is an absolute believer of conservative treatment. Keeping dental work small and conservative may take a little longer, but it always gives the best results.